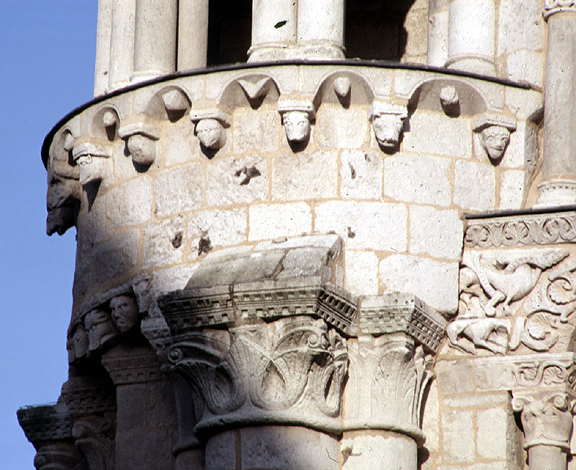 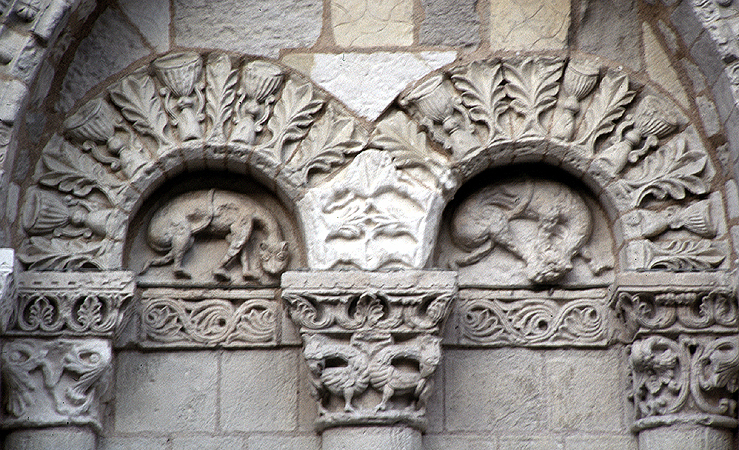 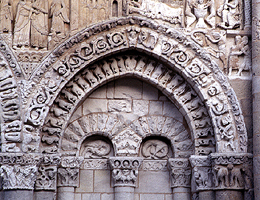 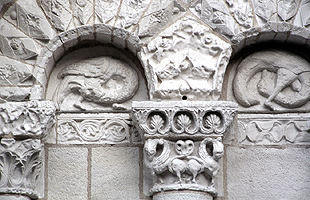 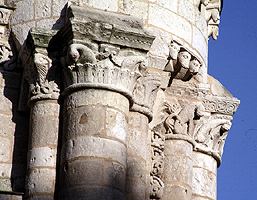 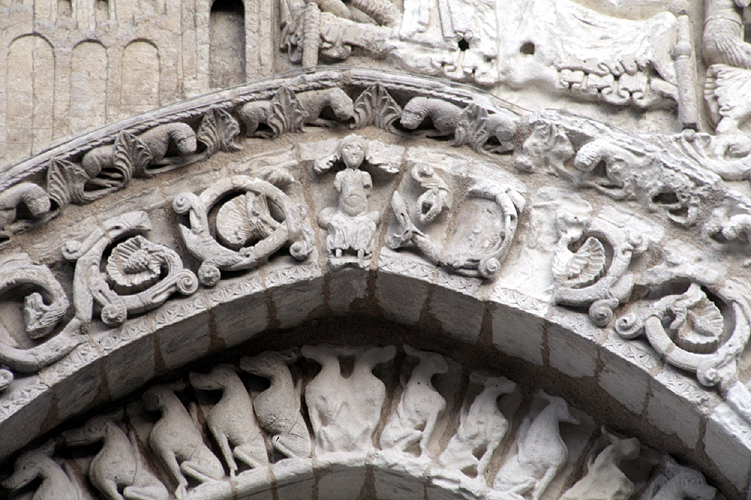 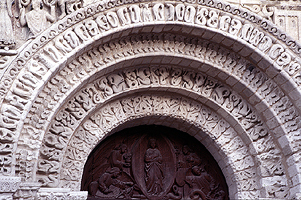 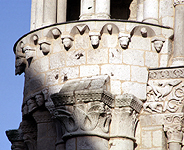 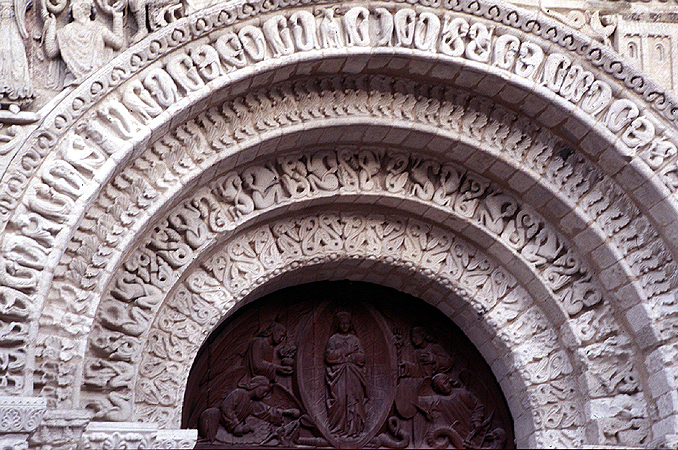 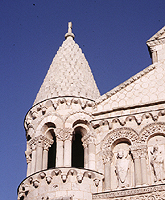 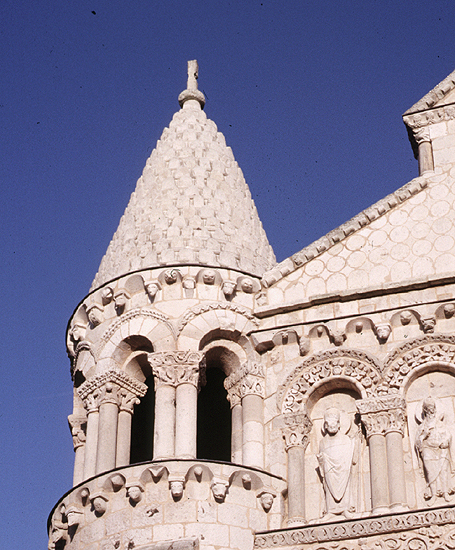 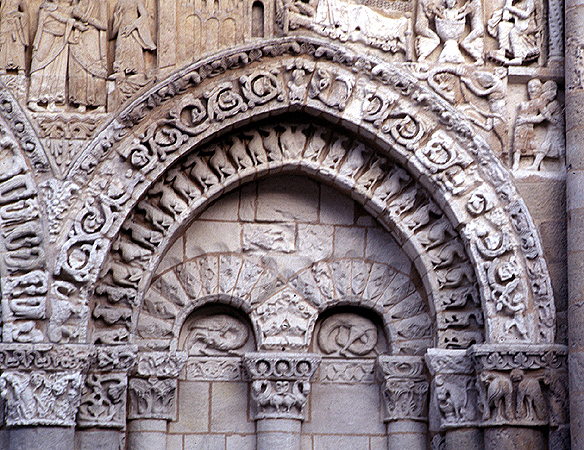 The capitals, doorframes, and other surface of the west facade are covered with elaborate and fanciful moldings. 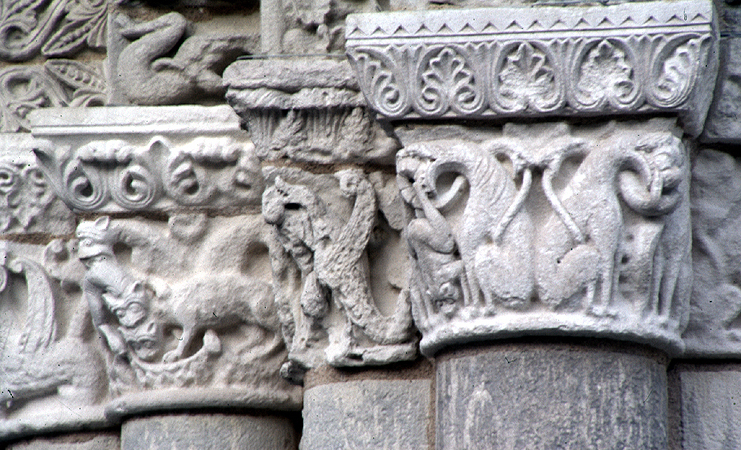 There are many abstract forms, but also figures drawn from myths and the natural world. 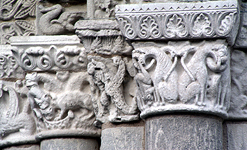 This molding is similar to the decorated capitals in contemporary manuscripts.